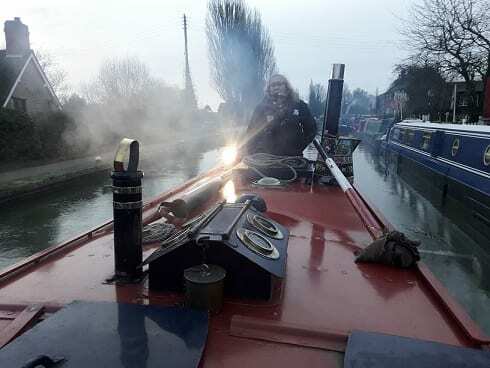 Sculptor, a 1935 Small Northwich former working boat, built by WJ Yarwood and Company at Northwich and based at the Canal Museum in Stoke Bruerne, is on her way to Brinklow Boat Services on the north Oxford Canal to have her wooden gunnels replaced. These are the wooden rails which run the full length of the boat on both sides. Sculptor has been at the Canal Museum since 1986. 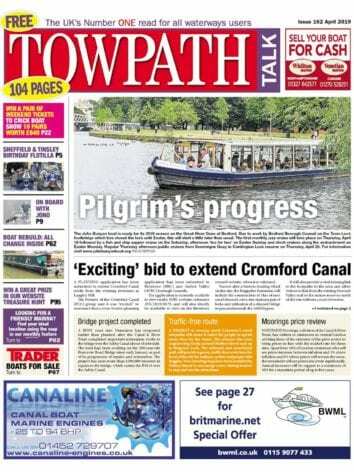 In line with their commitment to support the work of the museum, volunteer charity The Friends of The Canal Museum have agreed to underwrite the cost of the new gunnels. The Northampton Branch of the Inland Waterways Association are also contributing to Sculptor’s ongoing maintenance with a commitment to fund the reconditioning of the cabin later in the year.this year. Originally owned by the Grand Union Canal Carrying Company, Sculptor was used to carry a variety of cargo such as cotton and coal from London to the Midlands and is part of the Canal & River Trust’s national collection of boats. A very small team of dedicated volunteers help look after Sculptor to ensure she is maintained in accordance with Canal & River Trust Museum’s specifications. It is this team that will take Sculptor to Braunston and then on to Brinklow over the next two days and will return to collect her in approximately three weeks’ time. If you would like to assist with moving Sculptor to events during the year and become part of her volunteer crew which also helps with maintenance, please contact Louise Stockwin at The Canal Museum in Stoke Bruerne on 01604 862229.